The rich colours of orange, teal and navy form geometric jewel-like shapes when combined to create a vibrant and modern design based on traditional Indian tile art. 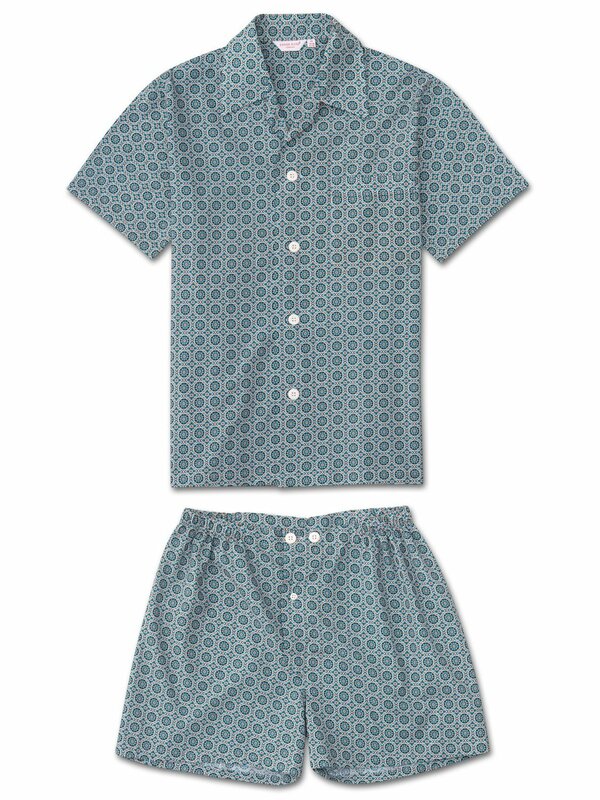 The Derek Rose short pyjama is a warm weather staple, based on our bestselling classic fit pyjama shape. Thanks to its ultra-fine batiste cotton, this is a soft, lightweight and cool PJ that's perfect for midsummer wear. It's long been a favourite fabric weight amongst travellers and holidaymakers, as it's not only comfortable in warm climates, but also light to pack and easy to carry. Wash and wear this pyjama set for years to come because this fabric lasts wonderfully well.